At Pretoria Boys High School we strive in giving all boys the best competitive abilities and opportunities in order to grow as individuals and active, healthy young men. There is a wide range of sport offered at Pretoria Boys. The school’s athletics season takes place in the third term but there are other opportunities for boys who wish to participate at a higher level in athletics. The school takes part in many of the summer league meetings against Pretoria schools during the first and fourth terms. During the third term, most boys take part in athletics during the two-day inter-house athletics meeting. The school also competes against Johannesburg boys’ schools. Athletes take part in the Top Ten Athletics Meeting in Bloemfontein. This is a sport, which has gained in popularity over the past few years, and the school can, on any given Saturday, field nine teams. Basketball is run in the first, second and fourth terms. Every year the school undertakes a tour to Durban to compete in a festival held at Durban High School. During the first and fourth terms, the boys play against boys’ schools from Johannesburg and in the third term all teams compete in the Pretoria League. The climbing that we do at school incorporates bouldering at our school wall (in the Gym), as well as going to The Bouldering Cave in Silverton or The Climbing Barn (out on Lynnwood) on a weekly basis. We do go out on weekends to some of the crags around Pretoria and on termly weekend trips to Waterval Boven. We climb twice at school, usually on Mon and Tues from 14:30 – 16:00. We usually go to either The Cave or The Barn on Wednesdays. We leave immediately after school at 14:00 and return at 17:30. This costs an additional fee of R50 per week. You may choose to climb on only two days or you may climb three times a week. This is to allow you to participate in the other sports offered at school as well. We have a professional coach training the boys. You are not required to have your own equipment. Boys High PT Kit to be worn at practices. There are two League Climbing Competitions held during the year. The Bouldering League takes place at the beginning of the year during the first term and consists of 5/6 competitions. The second League Competition is the Lead Climbing Competition and it takes place in the third term and also stretches across 6 – 8 weeks. At the close of each of the League Competitions, there is a selection of the top 5 climbers to represent Gauteng Climbing at The National Bouldering and Lead Climbing Competitions. Dates are only available early in February. The Inter-house Climbing will be held in the third term on 25 – 26 September. Pretoria Boys High School has at its disposal six cricket pitches, nine artificial nets and two sets of turf practice nets. The main cricket oval is arguably the best school field in South Africa. There are generally between eighteen and twenty-two cricket teams playing in a season and the first and fourth terms make up the main cricket season. During the third term, the senior and junior A-Teams take part in the Pretoria League. A full-time professional coach is employed to oversee the coaching of all teams and to encourage and promote cricket at junior level. The 1st and U14A cricket teams attend festivals every September. The school has a junior and a senior cross-country team. Both compete in the Johannesburg League against all the big boys’ schools, and the Pretoria League which consists of the co-ed schools in Pretoria and Afrikaans Hoer Seunsskool. The season runs from April through to September. During the school’s first term, there are many internal cross-country events, the largest of which is the annual school cross-country race in which more than 1300 boys participate. Fencing at PBHS is a year-round sport and although there are no official leagues, the fencing team takes part in the Johannesburg Men’s Competition. There are no individual age group teams, only a “senior team”, but anyone may take part in practices and in the competitions. The fencing team has a professional coach. This sport is one of the two major winter sports. There are four grass fields, as well as an artificial surface for the top teams. PBHS can cater for sixteen teams. A number of national players, at both junior and senior levels, have been produced by the school. The school annually attends three “Nomads” Festivals for different age groups hosted around South Africa. One of the two major winter sports, the school has 28 rugby sides (but against Afrikaans Hoer Seunsskool, fields up to 30 rugby teams). There are six rugby fields at PBHS and each team practices at least three times a week. Various teams undertake tours for different age groups around South Africa. Outside of the province, the school plays Maritzburg College and Grey College annually. To keep up with Boys High Soccer, follow our Facebook page. Aside from these achievements, we are very proud of the quality of the average player that we produce. This can be seen by the high number of Old Boys playing Mens League in Pretoria who continue to play the game we love, for years after leaving school. This is attributed to the excellent squash culture that we have at Pretoria Boys High School, where we focus on improving playing standards while never losing sight of the most important aspect: enjoying the game! 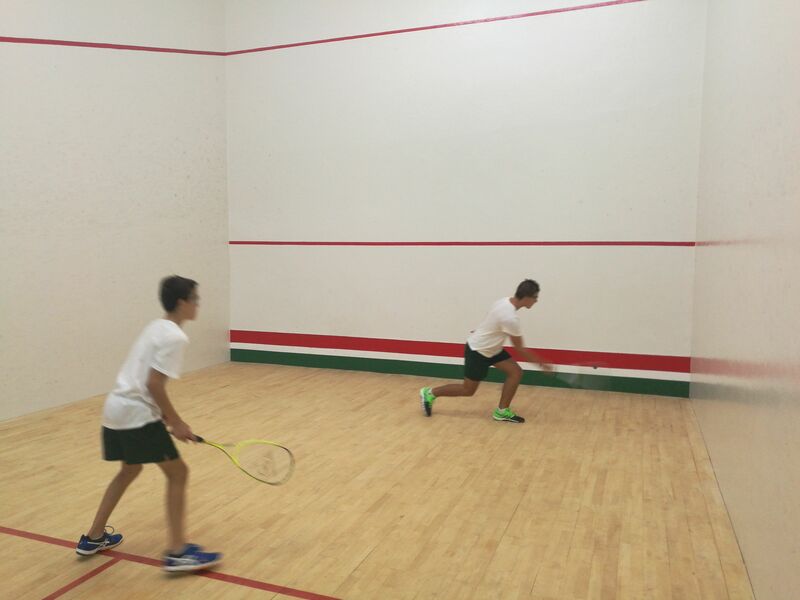 Many of our players only started playing squash upon their arrival at Boys High and with the support of an excellent setup, which includes excellent coaches, professional strength and conditioning managers and a superb admin staff, all boys learn to play and love the game of squash. The school’s generally strong swimming team has managed to win the Gauteng Boys Schools Relay Gala and the Pretoria Schools Inter-High Gala on a number of occasions. There are two pools, one for swimming and the other for water polo. Swimming is a seasonal sport which takes place in the first and fourth terms. Various swimming teams also attend the Alan Burt Gala contested by the top five swimming schools in Gauteng and the top swimming schools in KwaZulu Natal. This sport has recently been established at Boys High. There are two teams and they take part in the Pretoria Schools Table Tennis League. An outside coach is employed to coach both the junior and senior teams. This sport takes place throughout the year. There are seven tennis courts and this sport is played throughout the year. There are two age groups which take part in the Johannesburg and Pretoria Leagues. These age groups are Open (U17, U18 and U19) and Junior (U14, U15 and U16). The senior A-Team undertakes annual tours to Paul Roos and Grey College. A professional tennis coach is employed to coach the 1st Team and is also available to give private lessons. Water Polo has become one of the most popular sports which the school offers. On any given Saturday, more than sixteen teams take part in fixtures, using both pools situated on the school grounds. A Boys High Festival was held in 2006 for the first time and has became an annual event. Teams from all over South Africa are invited to attend. The 1st Water Polo Team attends all the water polo festivals hosted by boys’ schools. Pretoria Boys High School sports photographs are supplied by Duncan McFarlane. Please see the website for Macfoto Photography at dmcfarlane.photium.com or contact Duncan on dmcfarlane@iburst.co.za or 0114622719 / 0827958104 to place orders.